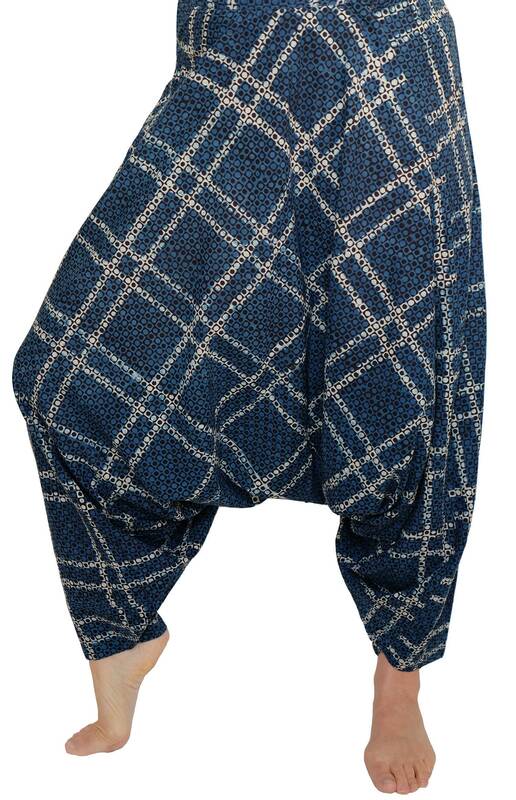 Lounge in leisure, or practice yoga in these fabulous loose fitting dhoti pants. 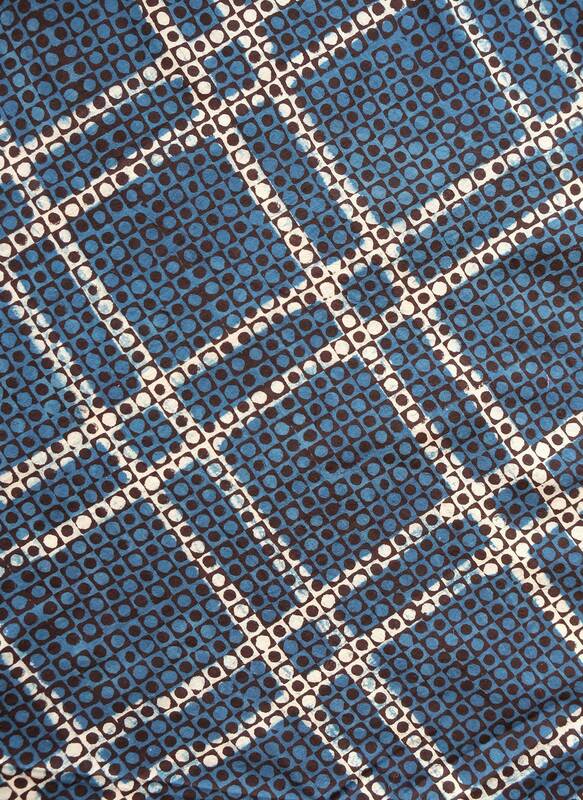 Made of 100% block printed cotton, in a simple indigo graphic print they have a button at the waist, which is elasticated at the back for plenty of room to breath. Overall length 41"
S/M waist 26" - 36"
M/L waist 28" - 38"